LADS held a reception for Ra Hansen at the home of Jean Ohlman in June of 1996 and were royally entertained by the “Grande Dame" of hybridizers. Ra hybridized and named a daylily “Thanks a Bunch" for LADS. 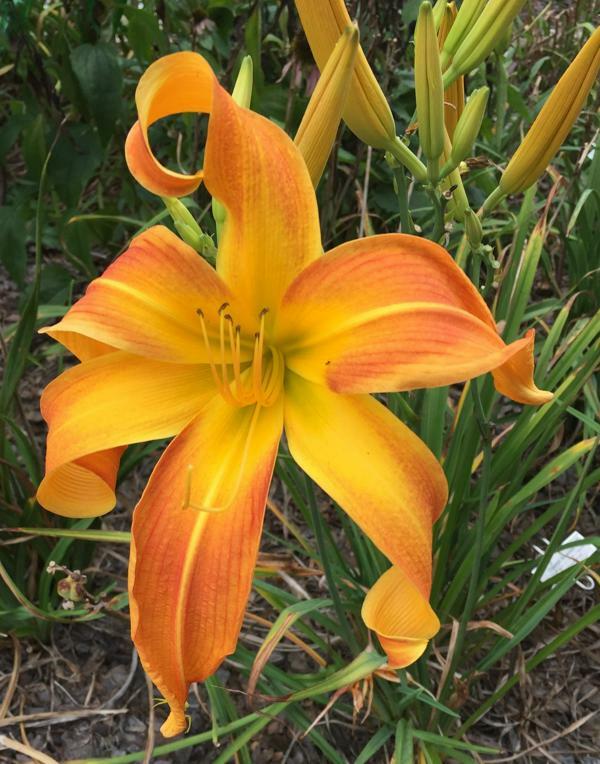 This was a wonderful year for the folks whose primary interest was to acquire an education of the fabulous daylily. 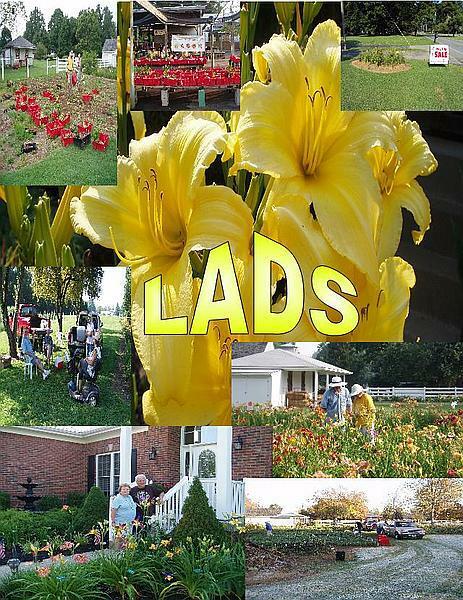 Starting in 1997, LADS began to participate in several venues to introduce the daylily to the general public. This practice continues today and includes sales at Locust Grove Gardeners Fair, Farmers Markets, and the most important of all, the sale the first Saturday in August with the Iris, Hosta and Daffodil Societies. This has become our most successful fund raiser and affords LADS members the opportunity to interact with other gardeners. Each year we choose a hybridizer and purchase several years of their introductions. We distribute these plants to the members in good standing who are also members of AHS. Members take care of the plants for two or three years and keep a double fan and return the rest of the increase to the annual auction. LADS has traveled to several nurseries and hybridizers in Tennessee , Ohio, Indiana and throughout Kentucky . Our members have been faithful in attending the Region 10 summer meetings and the Mid-Winter symposiums. Several members have also enjoyed attending the National Convention each year. The forms are provided as .pdf (Personal Document Format) files and will require Adobe® Acrobat Reader™ for viewing and printing. Adobe Acrobat Reader can be downloaded FREE from the Adobe Web site. This site has been accessed 370764 times.